One place I plan to poke around is obviously Sock's web site, i.e. http://www.simonoc.com/pages/design/sp/ad_grendel.htm. One time I found a forum post where someone had found the actual real world originals of the fountain-heads used in Doom, stuff like that would also be welcome. I wanted to respond, but hesitated as I'm just shy. It's not that great, I'm using it in my q1test remake. But it corresponds with the subject somehow, so before the toppic grows cold I'm after the hunchback of the parish cathedral. Nice Madfox. You are one of the only ppl I know who uses QuArK. And that looks great. 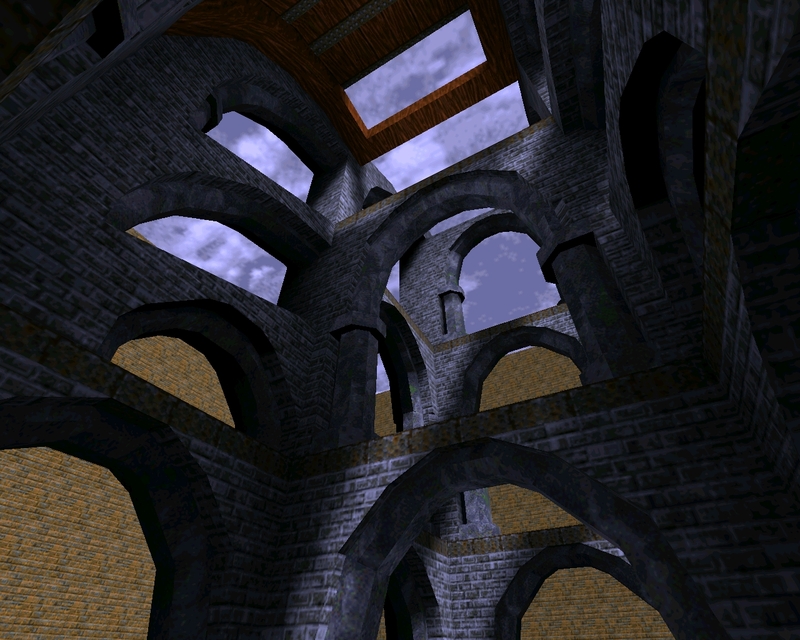 Tronyn, Qmaster's Keep beta .5 has some really nice larger scale levels with some Gothic work. I don't recall which level it was but you'll know it when you see it. So it ended up being more about how radically distorted versions of the middle ages, especially gothic architecture, end up preserving some medieval aesthetics in weird ways. As for Keep... I am very much looking forward to delving into it. I'm aiming to use it for future maps. For the past couple years I've been swamped IRL but this summer I will finally have some time. 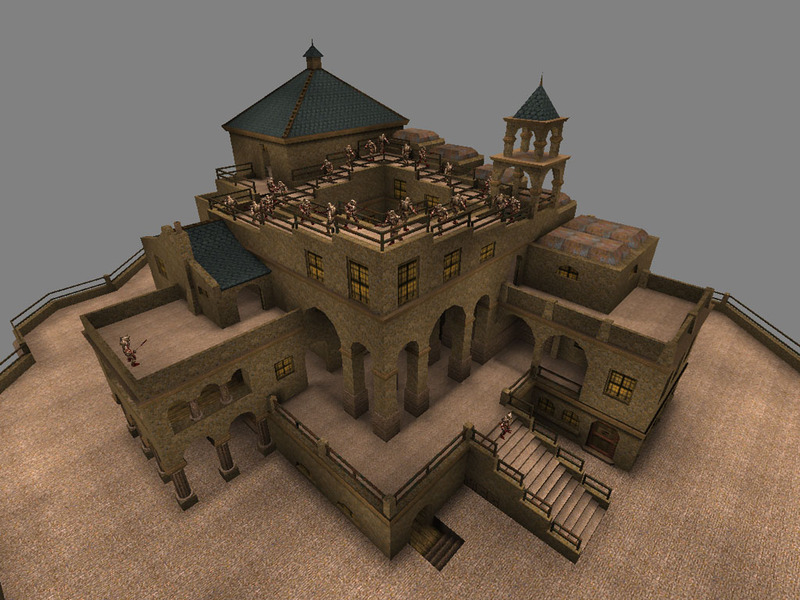 Maybe eventually I'll write up an article on design trends in modern Q1SP, lots of amazing stuff has come out that I haven't even played yet and it's as interesting as ever to see architectural features evolve and influence one another. Looks great Madfox, I like that you are using an actual model of the architecture. 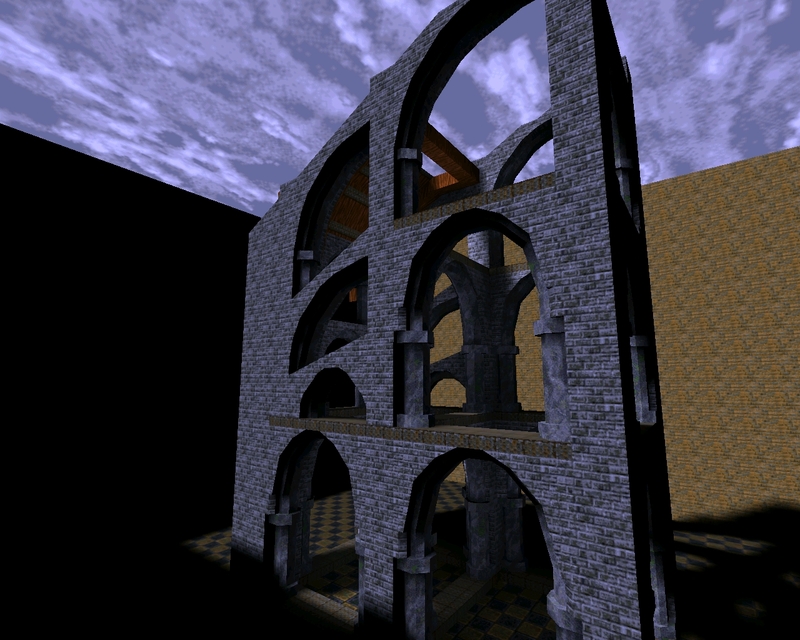 I have tried making a cathedral in Quake too but I just winged it so the scale is hard to get right.